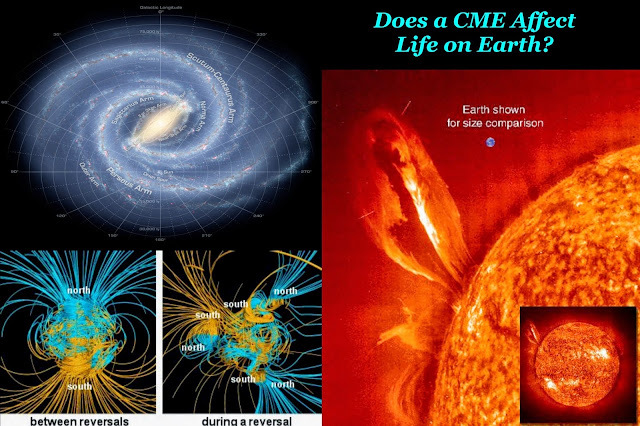 Does a CME Affect Life on Earth? 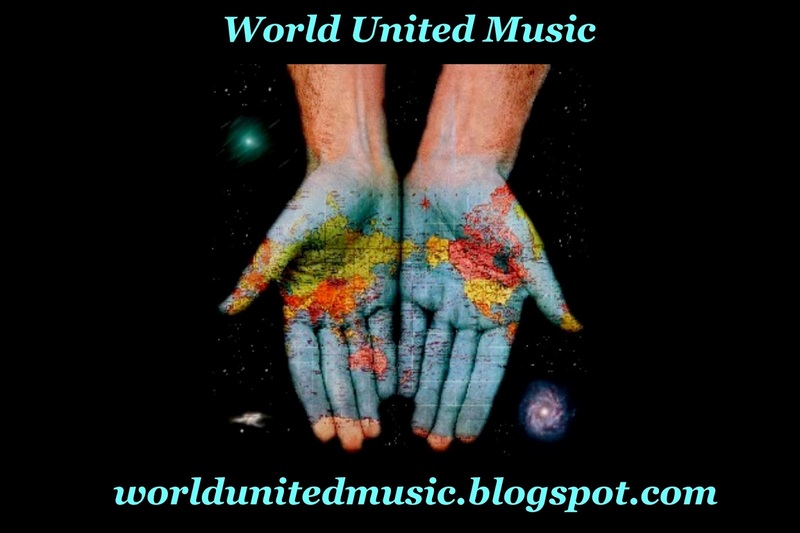 Two days ago: I was happily working away on my computer putting together an artist profile to post on World United Music, when a sudden burst of negative energy washed over me with the most intrusive force. It instantly gave rise to powerful negative emotions and ill feelings, so much so that I burst out cursing from the anxiety that had enveloped my mind. I was visibly angry and couldn’t understand why…as I questioned why I was angry and where this anger and anxiety was coming from, I also noted that just as this rise in negative energy hit me, there was a number of dogs that started barking all around the neighbourhood…and at the same time a few neighbours in different areas started screaming at each other…all of it coincided with the very same moment I experienced this wash of negative energy. Was it just a freakish coincidence? I went into the living room of my apartment where my wife was busy and asked her if she was feeling a sudden surge of anxiety, and with a look that asked, “how did you know?” she answered “yes”. This negative wave lasted a few hours and slowly subsided as the day became night…notably, the disruptions around the neighbourhood also subsided which kept my curiosity of the event at a peak. I sat back and pictured what I experienced, and clearly it felt as if a saw tooth ramp of energy had washed over me, blasting me, peak first to slow discharge. The whole episode lasted from early afternoon until nightfall which is when everything began to settle down to normal…including the neighbourhood. This is not the first time that I experienced a wave of energy wash over me, but it certainly was the strongest and harshest surge I had felt. Indeed, I learned from the report that the energy and magnetic interference of the CME, combined with the Negative Coronal Hole Impact, may have been a factor in the sudden surge of anxiety displayed by both neighbours and animals in the neighbourhood Monday November 10th. I could be wrong of course, however, one must note that our thoughts are electric impulses, and that an electric pulse is affected by magnetic field strength. One incident does not prove anything but as I begin to understand how the sun works and how it affects our small planet, I’m beginning to see patterns arise at a time when Earth’s Magnetic Shield is loosing strength due to an ongoing magnetic pole reversal. 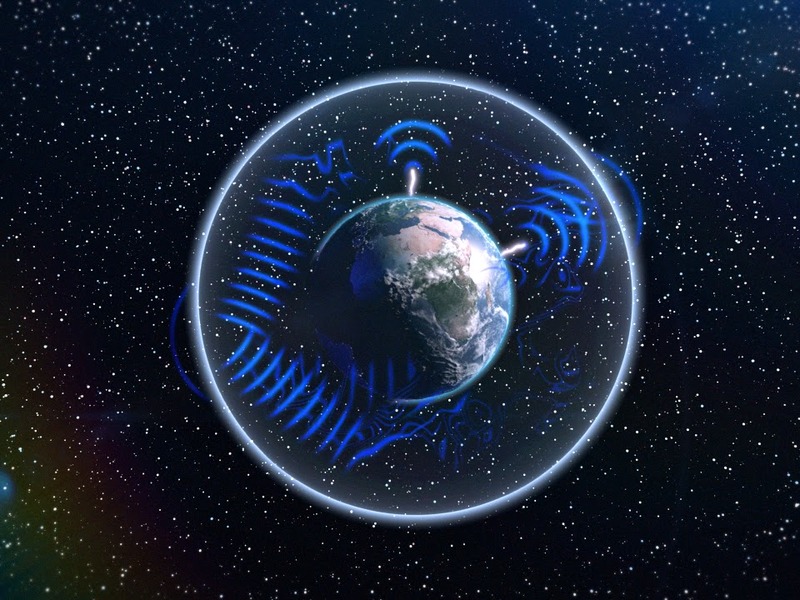 Below is a summary video confirming the Earth’s weakening magnetic field. It is my belief that when magnetic pole reversal happens, it starts off slow and then speeds up exponentially the closer it gets to its flipping point. The magnetic field does not completely disappear it just weakens until Earth’s internal molten gyro finds its magnetic equilibrium again and then goes back to full strength once the poles have flipped. The amount of time it takes to shift should be viewed as exponential rather than in linear terms of understanding. Anyone that has experimented with magnets can see what happens when you move two magnets close to each other. Not only can you feel the force between the two magnets repelling each other but you can see how quickly opposite poles move when they move towards magnetic equilibrium. It must also be noted that when the Earth’s magnetic field is weak, the sun’s potential to affect the Earth greatly intensifies as more radiation makes its way through to the planet surface with CME’s…radiation I might add that changes DNA and affects the lifeforms on this planet. This theory also gives rise to questions regarding evolution of life on the planet…But that is another topic for another day…back to the sensing the effects of the suns energy. The video below depicts the suns energy converted into audible frequency so you can hear what happens when a CME is released from the Sun. converted to frequencies within the human audible range. The sun also affects the other planets as does cosmic energy from outside our solar system. Here again Electromagnetic waves from the planets are converted to frequencies within the human audible range so that we can hear them. 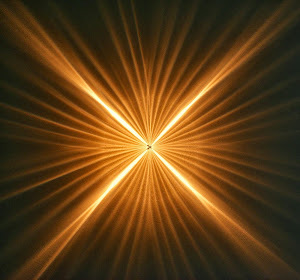 The Sun has a direct connection to our internal power source through vibrational frequency. 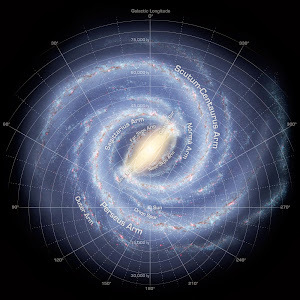 Indeed this is also the case with the Earth having its own vibrational frequency, and we are connected to Earth. When the Sun lets loose a CME it is mostly deflected by the Earth’s magnetic field however there is a direct effect to the Earth’s magnetic field. When the Earth’s magnetic field is weaker, there is more energy from the sun that penetrates the field...and right now our Earth's magnetic field is much weaker...is it possible that as the magnetic shield weakens, the lifeforms on this planet sense the energy shock of, say, the larger X-Class CME's? And what if a CME is also accompanied by a the ramp up in solar wind by a Coronal Hole when the Magnetic Field of the Earth is weakening? Does a CME affect life on Earth? You bet it does and in many more ways than most people realize. NOVA: Magnetic Pole Flip 530,000 Years Overdue & Happening Now? 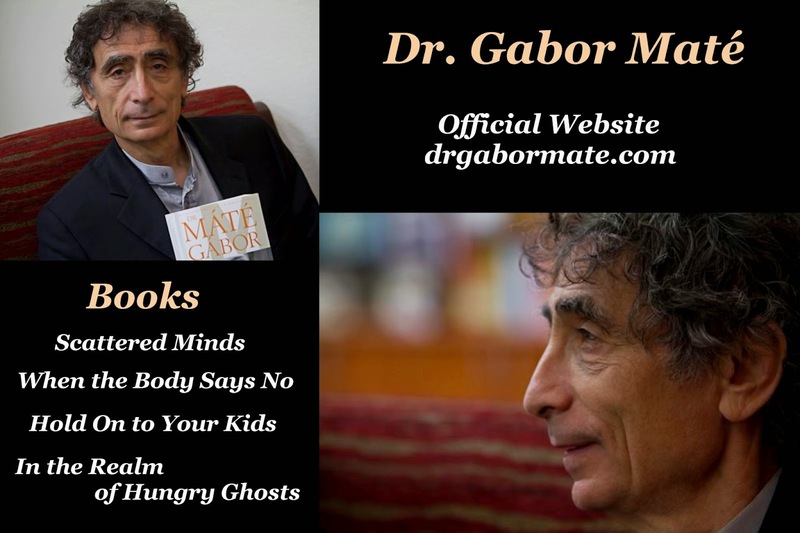 Gabor Maté very eloquently explains human destructive behaviors in society and to ourselves in this short video that will awaken ones mind and bring some understanding to ones own addictions or pain. Born in Budapest, Hungary in 1944, he is a survivor of the Nazi genocide. His maternal grandparents were killed in Auschwitz when he was five months old, his aunt disappeared during the war, and his father endured forced labour at the hands of the Nazis. He emigrated to Canada with his family in 1956. He was a student radical during the Vietnam era in the late 1960s and graduated with a B.A. from the University of British Columbia in Vancouver. He worked for a few years as a high school English and literature teacher, and later returned to school to pursue his childhood dream of being a physician. Maté ran a private family practice in East Vancouver for over twenty years. He was also the medical co-ordinator of the Palliative Care Unit at Vancouver Hospital for seven years. Currently he is the staff physician at the Portland Hotel, a residence and resource centre for the people of Vancouver's Downtown . Many of his patients suffer from mental illness, drug addiction and HIV, or all three. He works in harm reduction clinics in Vancouver's Downtown Eastside. Most recently, he has written about his experiences working with addicts in In the Realm of Hungry Ghosts. He made national headlines in defense of the physicians working at Insite (a legal supervised safe injection site) after the federal Minister of Health, Tony Clement, attacked them as unethical. In 2010, Dr. Maté became interested in the traditional Amazonian plant medicine ayahuasca and its potential for treating addictions. He partnered with a Peruvian Shipibo ayahuasquero (traditional shamanic healer) and began leading multi-day retreats for addiction treatment, including ones in a Coast Salish First Nations community that were the subject of an observational study by health researchers from the University of Victoria and the University of British Columbia. Although preliminary and limited by the observational study design, the research results showed that Maté's claims of therapeutic efficacy were well-founded and that participants had significant improvements in some psychological measures and reductions in problematic substance use. However, when the conservative Canadian federal government learned about Maté's work with ayahuasca in 2011, Health Canada threatened him with arrest if he did not immediately stop his activities with what they claimed was a harmful illegal drug. Yet, Health Canada's own research on ayahuasca in 2008 showed that they knew the risks associated with the ceremonial use of the brew were very low, and that it had considerable potential value for spiritual and self-actualizing purposes. A recurring theme in Maté's books is the impact of a person's childhood on their mental and physical health through neurological and psychological mechanisms, which he connects with the need for social change. In the book In the Realm of the Hungry Ghosts, he proposes new approaches to treating addiction (e.g. safe injection sites) based on an understanding of the biological and socio-economic roots of addiction. He describes the significant role of "early adversity" i.e. 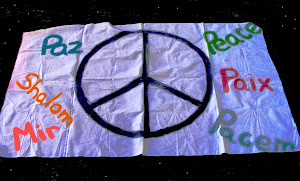 stress, mistreatment and particularly childhood abuse, in increasing susceptibility to addiction. This happens through the impairment of neurobiological development, impairing the brain circuitry involved in addiction, motivation and incentive. He argues the "war on drugs" actually punishes people for having been abused and entrenches addiction more deeply as studies show that stress is the biggest driver of addictive relapse and behavior. He says a system that marginalizes, ostracizes and institutionalizes people in facilities with no care and easy access to drugs, only worsens the problem. He also argues the environmental causes of addiction point to the need to improve child welfare policies (e.g. U.S. welfare laws that force many single women to find low-paying jobs far away from home and their children) and the need for better support for families overall, as most children in North America are now away from their parents from an early age due to economic conditions. He feels that society needs to change policies that disadvantage certain minority groups, causing them more stress and therefore increased risks for addictions. The impact of childhood adversity is also noted in When the Body Says No: Understanding the Stress-Disease Connection. He notes that early experiences have a key role in shaping a person's perceptions of the world and others, and in stress physiology, factors that affect the person's health later on. He says that emotional patterns ingrained in childhood live in the memory of cells and the brain and appear in interpersonal interactions. He describes the impact of 'adverse childhood experiences' or ACEs (e.g. a child being abused, violence in the family, a jailed parent, extreme stress of poverty, a rancorous divorce, an addict parent, etc.) on how people live their lives and their risk of addiction and mental and physical illnesses, as seen in a number of U.S.-based Adverse Childhood Experiences (ACE) studies. Having a number of ACEs exponentially increases a person's chances of becoming an addict later on e.g. a male child with six ACEs has a 4,600% or 46-fold increase in risk. ACEs also exponentially increase the risk of diseases e.g. cancer, high blood pressure, heart disease, etc. and also suicide and early death. He argues that patients should therefore be encouraged to explore their childhoods and the impact on their adult behaviors. Overall, he argues people benefit by taking a holistic approach to their own health. For instance, he has seen people survive supposedly terminal diagnoses by seriously considering their "mind-body unity" and "spiritual unity"; going beyond "the medical model of treatment." He has also spoken about how the rise in bullying, ADHD and other mental disorders in American children are the result of current societal conditions e.g. a disconnected society and "the loss of nurturing, non-stressed parenting." That is, we live in a society where for the first time in history, children are spending most of their time away from nurturing adults. He asserts that nurturing adults are necessary for healthy brain development. Scattered Minds: A New Look at the Origins and Healing of Attention Deficit Disorder, Toronto, Canada, A.A. Knopf Canada, 1999 (published in the United States as Scattered: How Attention Deficit Disorder Originates and What You Can Do About It). When the Body Says No: The Cost of Hidden Stress, Toronto, Canada, A.A. Knopf Canada, 2003 (published in the United States as When the Body Says No: Exploring the Stress-Disease Connection). Hold On to Your Kids: Why Parents Need to Matter More Than Peers, co-authored with developmental psychologist Gordon Neufeld, Toronto, Canada, A.A. Knopf Canada, 2004. Choose which type of reality you want to live in. Energy will flow where your attention goes so what you put your attention on will increase and accelerate in that direction or phase as time goes on. The choice is yours, so why not create the reality you want? Make the transformation internally and shift into your new reality. We literally create our reality! (Quantum Physics now proves this) We are all governed by a set of Universal Laws, and these laws were created by GOD to aid us in creating the life we desire. One of these laws is known as the "Law Of Attraction" or the law of "Reaping and Sowing". This law simply states, whatever you give out in Thought, Word, Feeling, and Action is returned to you. Whether the return is negative, or positive, failure or success, is all up to what you give out. Prout: A New Socio-Economic Paradigm? Interview with Dada Maheshvarananda, author, activist and monk currently the director of the Prout Research Institute of Venezuela. Dada discusses Progressive Utilisation Theory or Prout, an alternative socio-economic model based on universal spirituality. Dada Maheshvarananda, born in the US, is an activist, writer, and monk. Since 1978 he has taught meditation and yoga and supervised social service projects, in Southeast Asia, South America and Europe. His recent book, "After Capitalism: Economic Democracy in Action", was published in 2012. His first book, "After Capitalism: Prout's Vision for a New World" with a preface by Noam Chomsky was published in 2003 and has been translated in 10 languages. He has given hundreds of seminars and workshops around the world about social issues and spiritual values. In October 2006 he opened the Prout Research Institute of Venezuela, which he directs. It is the passion of his life. Economics of Prout covers the basic economic principles of Prout, which offeres a viable alternative to the materialistic, anti human philosophies of Capitalism and Communism. I’m climbing with Dr Natawidjaja up the steep slope of a 300-ft high step-pyramid set amidst a magical landscape of volcanoes, mountains and jungles interspersed with paddy fields and tea plantations a hundred miles from the city of Bandung in West Java, Indonesia. The pyramid has been known to archaeology since 1914 when megalithic structures formed from blocks of columnar basalt were found scattered amongst the dense trees and undergrowth that then covered its summit. Local people held the site to be sacred and called it Gunung Padang, the name it still goes by today, which means “Mountain of Light”, or “Mountain of Enlightenment”, in the local Sundanese language. The summit, where the megaliths were found arranged across five terraces had been used as a place of meditation and retreat since time immemorial, archaeologists were told, and again this remains true today. However neither the archaeologists, nor apparently the locals realized the pyramid was a pyramid. It was believed to be a natural hill, somewhat modified by human activity, until Natawidjaja and his team began a geological survey here in 2011. By then the summit had long since been cleared and the megalithic terraces recognized to be ancient and man-made, but no radiocarbon dating was ever done and the previously accepted age of the site – about 1,500 to 2,500 BC -- was based on guesswork rather than on excavations. The first scientific radiocarbon dating was done by Natawidjaja himself on soils underlying the megaliths at or near the surface. 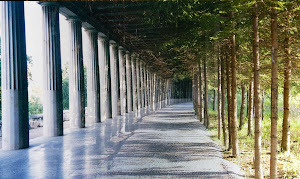 The dates produced – around 500 to 1,500 BC – were very close to the archaeological guesswork and caused no controversy. However a surprise was in store as Natawidjaja and his team extended their investigation using tubular drills that brought up cores of earth and stone from much deeper levels. First the drill cores contained evidence – fragments of columnar basalt – that man-made megalithic structures lay far beneath the surface. Secondly the organic materials brought up in the drill cores began to yield older and older dates – 3,000 BC to 5,000 BC, then 9,600 BC as the drills bit deeper, then around 11,000 BC, then, 15,000 BC and finally at depths of 90 feet and more an astonishing sequence of dates of 20,000 BC to 22,000 BC and earlier. “This was not at all what my colleagues in the world of archaeology expected or wanted to hear” says Natawidjaja, who earned his PhD at Cal Tech in the United States and who, it becomes apparent, regards archaeology as a thoroughly unscientific discipline. The problem is that those dates from 9,600 BC and earlier belong to the period that archaeologists call the “Upper Palaeolithic” and take us back deep into the last Ice Age when Indonesia was not a series of islands as it is today but was part of a vast southeast Asian continent dubbed “Sundaland” by geologists. Sea level was 400 feet lower then because huge ice caps two miles deep covered most of Europe and North America. But as the ice caps began to melt all the water stored in them returned to the oceans and sea-level rose, submerging many parts of the world where humans had previously lived. Thus Britain was joined to Europe during the Ice Age (there was no English Channel or North Sea). Likewise there was no Red Sea, no Persian Gulf, Sri Lanka was joined to southern India, Siberia was joined to Alaska, Australia was joined to New Guinea – and so on and so forth. It was during this epoch of sea-level rise, sometimes slow and continuous, sometimes rapid and cataclysmic, that the Ice Age continent of Sundaland was submerged with only the Malaysian Peninsula and the Indonesian islands as we know them today high enough to remain above water. The established archaeological view of the state of human civilization until the end of the last Ice Age about 9,600 BC was that our ancestors were primitive hunter gatherers incapable of any form of civilization or architectural feats. In the following millennia settled agriculture was very gradually developed and perfected. Around 4,000 BC the increasing sophistication of economic and social structures, and growing organizational abilities, made possible the creation of the earliest megalithic sites (such as Gigantija on the Maltese island of Gozo for example) while the first true cities emerged around 3500 BC in Mesopotamia and soon afterwards in Egypt. In the British Isles Callanish in the Outer Hebrides and Avebury in southwest England, both dated to around 3,000 BC, are the oldest examples of true megalithic sites. The megalithic phase of Stonehenge is thought to have begun around 2,400 BC and to have continued to around 1,800 BC. Within this well worked out and long-established chronology there is no place for any prehistoric civilization such as Atlantis. 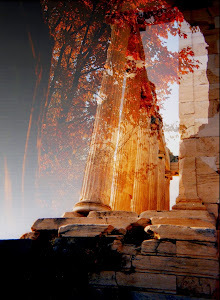 But interestingly the Greek philosopher Plato, whose dialogue of Timias and Critias contains the earliest surviving mention of the fabled sunken kingdom, dates the catastrophic destruction and submergence of Atlantis by floods and earthquakes to “9,000 years before the time of Solon” – i.e. to 9,600 BC, the end of the last Ice Age. Since the Greeks had no access to modern scientific knowledge about the Ice Age and its rapidly rising sea levels (often accompanied by cataclysmic earthquakes as the weight of the melting ice caps was removed from the continental landmasses) the date Plato gives is, to say the least, an uncanny coincidence. In Danny Natawidjaja’s view, however, it is no coincidence at all. 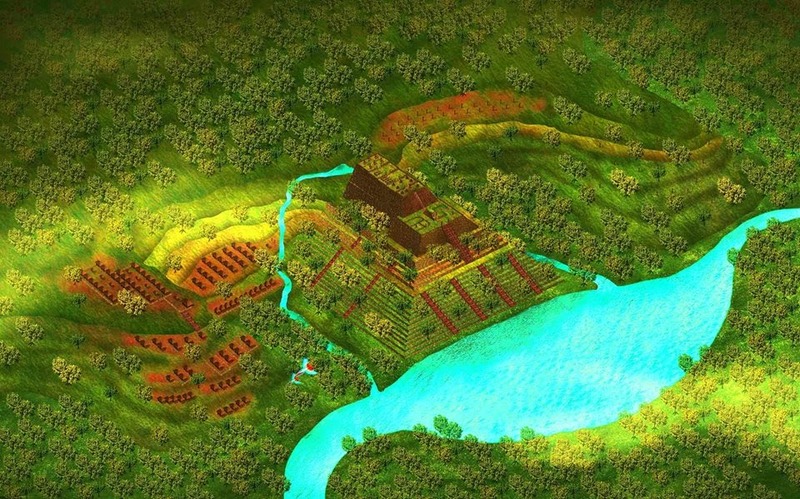 His research at Gunung Padang has convinced him that Plato was right about the existence of a high civilization in the depths of the last Ice Age – a civilization that was indeed brought to a cataclysmic end involving floods and earthquakes in an epoch of great global instability between 10,900 BC and 9,600 BC. This epoch, which geologists call the “Younger Dryas” has long been recognized as mysterious and tumultuous. In 10,900 BC, when it began, the earth had been emerging from the Ice Age for roughly 10,000 years, global temperatures were rising steadily and the ice caps were melting. Then there was a sudden dramatic return to colder conditions – even colder than at the peak of the Ice Age 21,000 years ago. This short, sharp deep freeze lasted for 1,300 years until 9,600 BC when the warming trend resumed, global temperatures shot up again and the remaining ice caps melted very suddenly dumping all the water they contained into the oceans. What has brought Natawidjaja to this radical view is the evidence he and his team have uncovered at Gunung Padang. When their drill cores began to yield very ancient carbon dates from clays filling the gaps between worked stones they expanded their investigation using geophysical equipment – ground penetrating radar, seismic tomography and electrical resistivity – to get a picture of what lay under the ground. The results were stunning, showing layers of massive construction using the same megalithic elements of columnar basalt that are found on the surface but with courses of huge basaltic rocks beneath them extending down to 100 feet and more beneath the surface. At those depths the carbon dates indicate that the megaliths were put in place more than 10,000 years ago and in some cases as far back as 24,000 years ago. Columnar basalt does form naturally – the famous Giant’s Causeway in Northern Ireland is an example – but at Gunung Padang it has been used as a building material and is laid out in a form never found in nature. “The archaeologists won’t like that,” I point out. When I ask what he means by obstacles he replies that some senior Indonesian archaeologists are lobbying the government in Jakarta to prevent him from doing any further work at Gunung Padang on the grounds that they “know” the site is less than 5,000 years old and see no justification for disturbing it. Gunung Padang is not the only ancient site that raises huge question marks over the story archaeologists tell us about our past. On the other side of the world, in southeastern Turkey, another man-made hill has been excavated during the past decade, this time by Professor Klaus Schmidt of the German Archaeological Institute. The site, called Gobekli Tepe (which means “Potbellied Hill” in the local Kurdish language) consists of a series of immense megalithic stone circles on the scale of Stonehenge and was deliberately buried (creating the appearance of a hill) around 8,000 BC by the mysterious ancient people who made it. 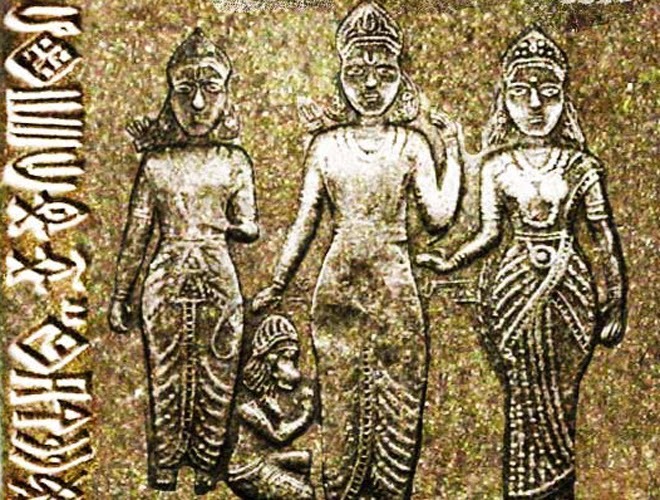 The circles themselves date back to 9,600 BC, however, with the oldest work being the best. At least twenty further circles on a similar scale, identified by ground penetrating radar, are still deeply buried. 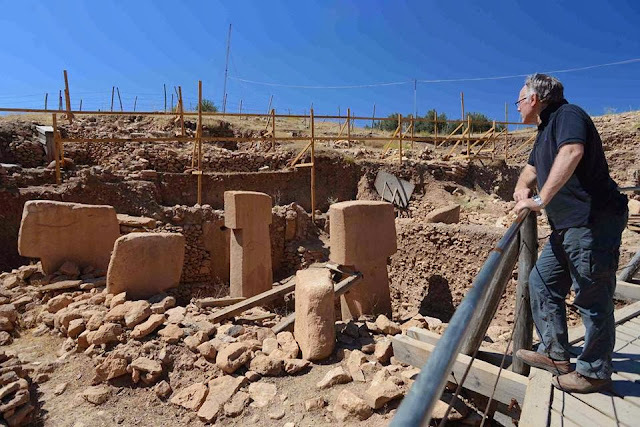 Some of these, Klaus Schmidt told me when I visited Gobekli Tepe in September 2013, are likely to be much older than those already excavated. At 7,000 or more years older than Stonehenge the megaliths of Gobekli Tepe, like the deeply buried megaliths of Gunung Padang mean that the timeline of history taught in our schools and universities for the best part of the last hundred years can no longer stand. It is beginning to look as though civilization, as I argued in my controversial 1995 bestseller Fingerprints of the Gods, is indeed much older and much more mysterious than we thought. In essence what I proposed in that book was that an advanced civilization had been wiped out and lost to history in a global cataclysm at the end of the last Ice Age. I suggested there were survivors who settled at various locations around the world and attempted to pass on their superior knowledge, including knowledge of agriculture, to hunter-gatherer peoples who had also survived the cataclysm. Indeed even today we have populations of hunter gatherers, in the Kalahari Desert, for instance, and in the Amazon jungle, who co-exist with our advanced technological culture – so we should not be surprised that equally disparate levels of civilization might have co-existed in the past. What I could not do when I wrote Fingerprints, because the evidence was not then available, was identify the exact nature of the cataclysm that had wiped out my hypothetical lost civilization, and this absence of a specific “smoking gun” was one of the many aspects of my argument that was heavily criticized by archaeologists. Since 2007, however, masses of scientific evidence have come to light that have identified the smoking gun for me in the form of a comet that broke into multiple fragments now known to have hit the earth 12,980 years ago. The impacts (some on the North American ice cap, some elsewhere) caused floods and tidal waves and threw a vast cloud of dust into the upper atmosphere that enshrouded the entire earth for more than a thousand years, preventing the sun’s rays from reaching the surface, and setting off the Younger Dryas deep freeze. I believe it is possible that Gobekli Tepe may prove to be the work of the survivors of a great civilization lost during the Younger Dryas (interestingly the so-called “origins of agriculture” have been traced back by archaeologists to the vicinity of Gobekli Tepe and to the exact period in which Gobekli Tepe was created). But it is to Gunung Padang that I now look for a possibly even more stunning confirmation of my theory. 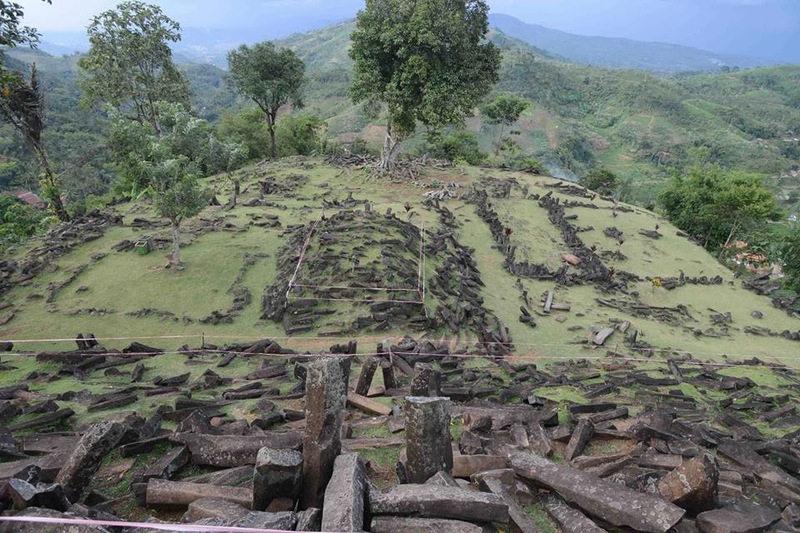 Danny Natawidjaja’s geological survey has revealed not only deeply buried massive constructions and very ancient carbon dates at Gunung Padang but also the presence of three hidden chambers, so rectilinear in form that they are most unlikely to be natural. The largest of these lies at a depth of between 70 and 90 feet beneath the summit of the pyramid and measures approximately 18 feet high, 45 feet long and 30 feet wide. Could it be the fabled “Hall of Records” of Atlantis? If Dr Natawidjaja’s geological excavation is allowed to proceed, despite strenuous attempts by local archaeologists to prevent it, then we should know the answer to that question, one way or another, by the end of 2014.